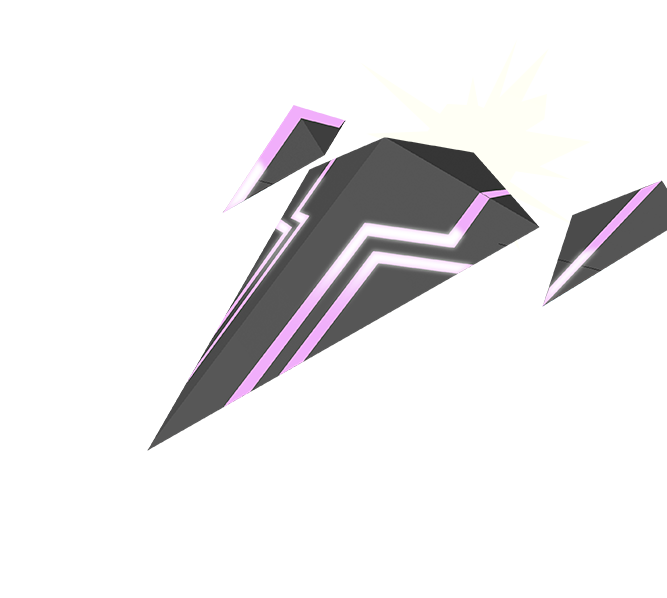 letting you experience AVICII's music in a whole new way. Top-selling artist AVICII was about to release his highly anticipated debut album True. We approached him with an idea of how to expand his brand even further to reach new audiences. For the first time ever, players could buy in-game music through iTunes, deciding which song to be played to a certain level. The idea involved creating an AVICII world, where fans and prospective fans could access exclusive AVICII mixes, purchase music and interact with each other, charging the AVICII brand with fun and excitement. 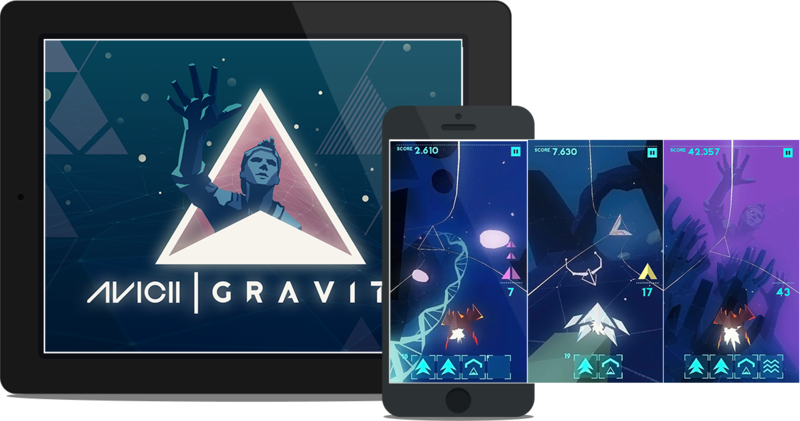 In connection with the album release in September 2013, we released GRAVITY - a fast-paced, enjoyable game in which the music and gameplay merged into a unique immersive experience. In GRAVITY the player's performance dynamically changes the way AVICII's songs are experienced and built up. 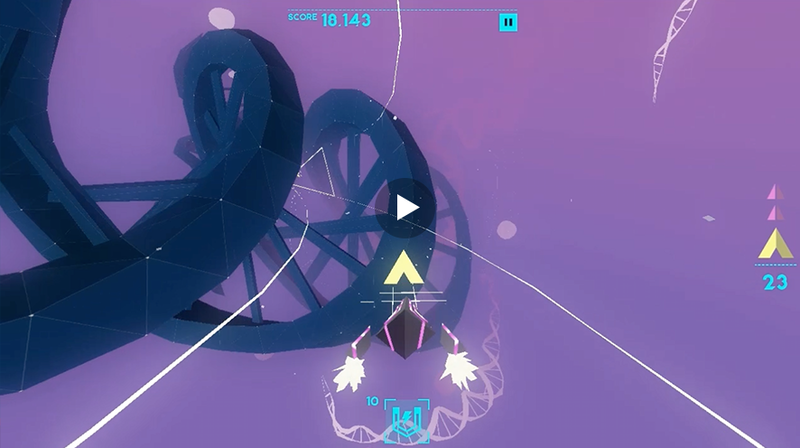 A capturing ride through endless, artistic environments - inspired by AVICII's music - puts the player in a flow-like state. As with his songs, we wanted the game to be something you'd play over and over again. Without any paid media investments, GRAVITY reached far outside AVICII's regular fan base, making it top App Store charts in the music game category in 60 countries. Players gave GRAVITY an average rating of 5/5 stars, calling it "addictive" and "fun and challenging". The first month after the release GRAVITY had been downloaded more than 500 000 times and produced more than 10 000 daily clicks to iTunes with a conversion rate of 54% and 1 million SEK in sold music.